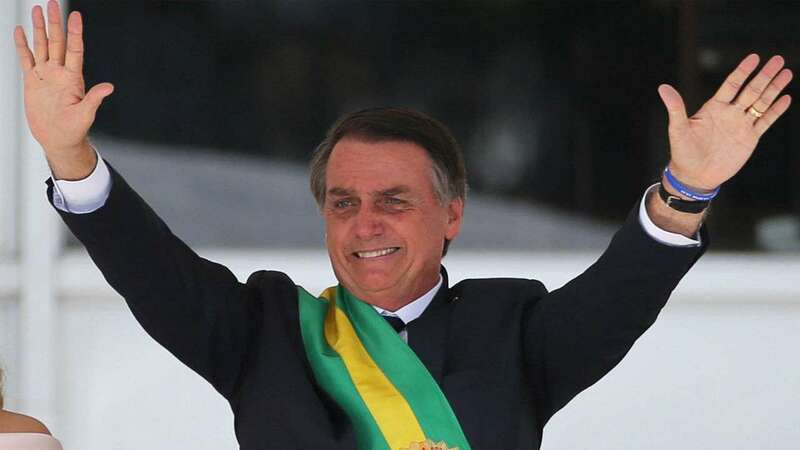 Brazil's right-wing President Jair Bolsonaro on Monday ordered the armed forces to hold "appropriate commemorations" of the March 1964 military coup -- while denying it was a coup. "Our president has ordered the Defense Ministry to carry out appropriate commemorations related to March 31, 1964," 55 years old, Bolsonaro's spokesman Otavio Rego Barros said at Planalto Palace in Brasilia. The celebrations should be carried out according to "what the commanders deem right within their respective garrisons, and within the context in which they should be performed," the spokesman added. Bolsonaro, an ex-Army captain, says he admires the military dictatorship that overthrew President Joao Goulart and ruled the country for over two decades until 1985. Yet "the president does not consider what happened on March 31, 1964, a military coup," Barros said. "He believes that society as a whole, perceiving the danger that the country was experiencing," was able that day to unite "civilians and military, to recover and return to our country onto its course. "And if that had not happened, today we would have here some kind of government that would not be good for anyone," the spokesman added. Bolsonaro has always been a strong supporter of the Brazilian military. Since taking office in January, he has also had fond words for other military dictatorships in Latin America in the 1970s and 1980s, such as the Paraguayan Alfredo Stroessner (1954-1989) and that of Chile's Augusto Pinochet (1973-1990).